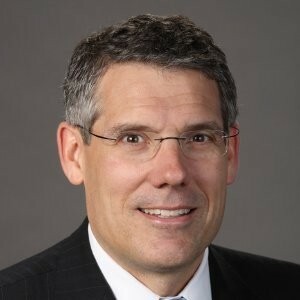 Aaron Friedman ’19 spoke with Steve Haggerty ’90, Capital Strategy, Franchising and Select Service at Hyatt Hotels Corporation. Thank you for taking the time to speak. Can you explain your day-to-day? Hello. I am the Global Head of Capital Strategy, Franchising and Select Service at Hyatt Hotels Corporation. I am constantly traveling and meeting with hotel franchisors to figure out where the next best place for Hyatt to launch. I love meeting new people and developing great relationships. My job is fascinating in that no two days are the same, and I am constantly meeting people with different perspectives throughout so many different sides of the real estate and hospitality industry. Do you still interact with many Cornelians or Hotelies? I am meeting with or speaking to Hotelies every single day. The relationships I made back in the day pay me dividends in almost every meeting I go to and with every deal that I close. What is your advice for a student like myself looking to make an impact in the hospitality real estate investing industry? My advice would be start broad and then narrow your interests. My area, hotel franchising development and capital strategy, is pretty niche; it was important for me to start my career at Marriott where I was exposed to a myriad of issues within the hospitality and real estate field. Do you have courses or organizations that you recommend at Cornell or the Hotel School? Hmm that one takes me back to the day. I would say look to gain experience at Statler Hotel if you do not have any operations experience. I also would recommend taking any classes taught by Mark or Reneta McCarthy. Thank you so much for all the advice. My last question is what do you like about hotels, in comparison to other real estate asset classes? Of course, Aaron, it is my pleasure. Hotels fascinate me because they require so much detail and a ton of people working together to make something special happen. Whether it is food & beverage, housekeeping, concierge, or events space; no two aspects of a hotel are the same, and the only way hotels stay successful is from talented people working together.